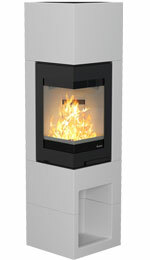 Nordpeis has a range of wood burning fires that will create a striking centrepiece at the very heart of your home. 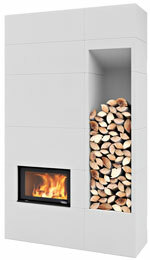 Designed with the highest level of heating efficiency, these wood burning fires will suit either a contemporary or traditionally styled home. 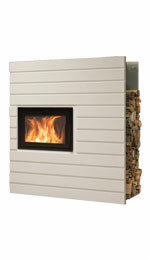 Whether you are looking for a wood burning fire to fit in your large fireplace opening or want to integrate a hole-in-the-wall look, this selection of elegant fires will always be a pleasure to come home to! 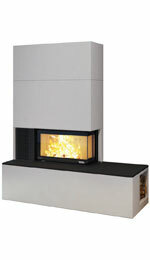 Featuring a desirable left or right hand (depending on model) aspect view of the flames, the Q-34 corner cassette fire is a highly efficient model. 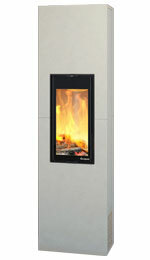 Featuring the contemporary Panama surround, this wood burning cassette fire has a heat output of up to 9kW. 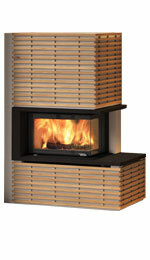 With its stylish looks and elegantly curved back, the Taipei easily becomes the centrepiece in any living space. 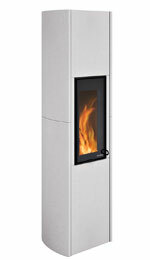 Featuring a fantastic 7.4kW output, the Nordpeis N-20F is a wide format wood burning cassette fire capable of heating larger spaces.